I have been wanting to write this email for a long time and last Thursday was the final motivation. 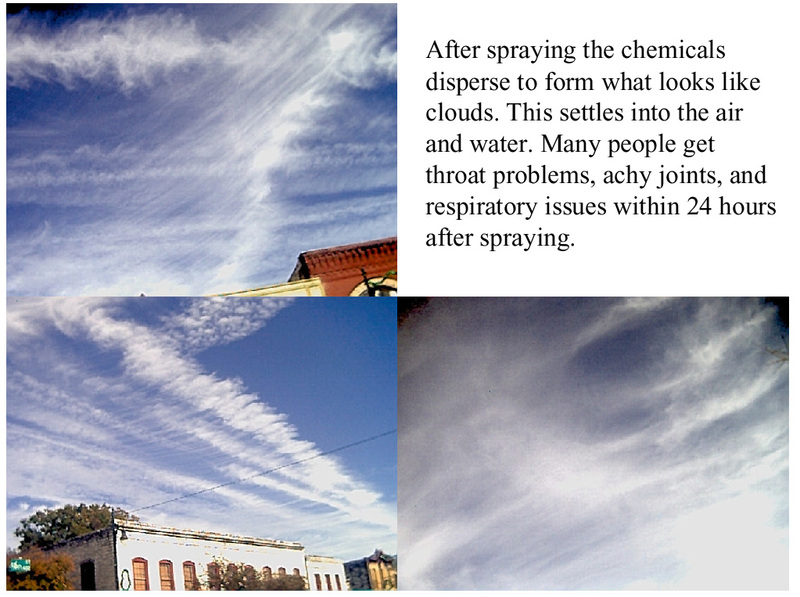 I have talked to several people about the aerosol spraying in the air - or chemtrails as we call them. I have talked to many friends about this. Please open the PDF file to see pictures I took on 6th street Thursday Dec. 4th. I have called the airport during this spraying procedure and have had air traffic control tell me that no commercial flights are in progress when I see planes in the air spraying this stuff. Therefore they are government jets. 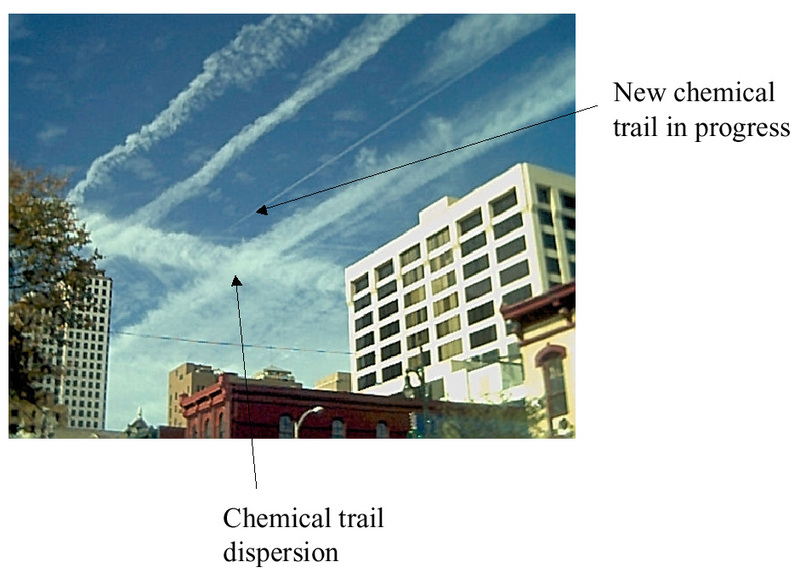 This trail is MUCH different the normal jet condensation that quickly dissipates. For more info here are some websites devoted to the issue. Stunning Aerosols Sprayed Over Austin! The problem with this spraying is that the elements in the spray have been defined as aluminum and barium products along with plastic filaments. You are breathing this and it is getting in the water and food supply. Austin is sprayed on a regular basis. Last weekend I was in Las Vegas and Vegas was sprayed 4 days in a row. My buddy played golf and was complaining of a sore throat. 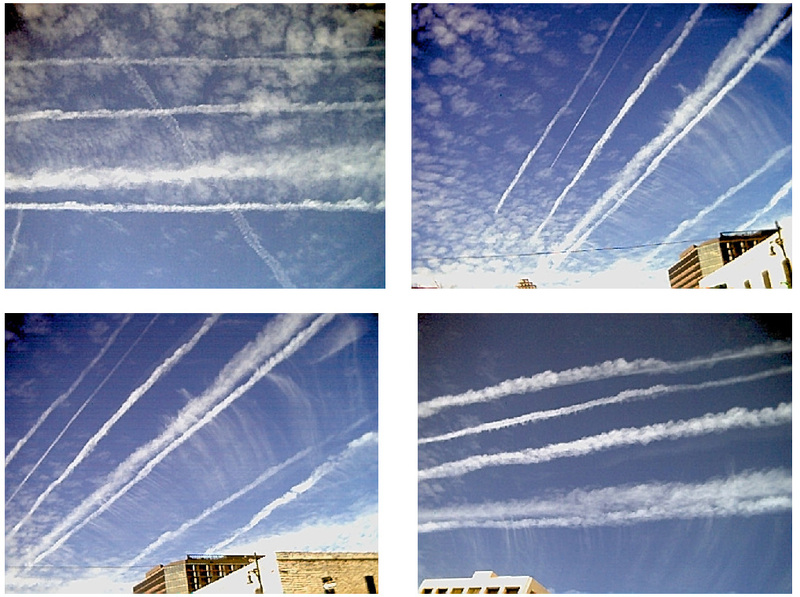 I didn't mention "chemtrails" because most people for some reason still do not "see" this. I am going to send a copy of this to the City council members. However, I am looking for people here in Austin that can offer suggestions as to how we can get this stopped over Austin. If anyone is interested please contact me. This has been going on here since 2000 that I know of. I think an awareness group that can demonstrate on "spraying" days may help. Also I am going to start talking to the council members until I find one that wants to help.